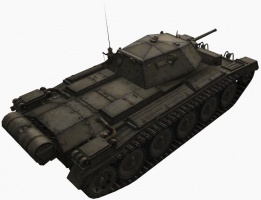 NOTE: In WoT revision 0.9.18 the Crusader was re-classified as a medium tank, still at Tier V.
This removes the LT camo on the move characteristic. Otherwise the tech tree and specs are the same as they were in previous version. 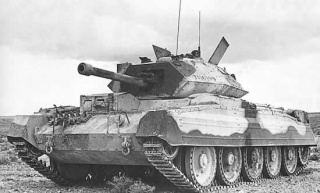 The Crusader is commonly regarded as a difficult tank to play effectively, requiring a high skill level and punishing your mistakes at every opportunity. 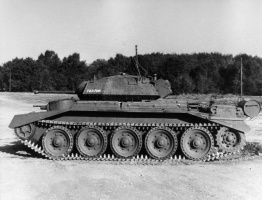 A previous update amended the Crusader from a light tank to a medium and this change still causes confusion today, as many topics relating to the Crusader still describe it as a light tank and a spotter, which it is not. This also means that your Covenanter crew cannot be moved into this tank without expensive re-training. 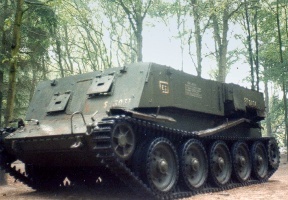 Its mobility is similar to the Covenanter, meaning that the Crusader is not the quickest or most agile of tanks and is only just able to escape from danger; Soviet heavy tanks such as the KV1S and the IS can virtually keep up with the Crusader's acceleration and can kill you with perhaps a single hit. These are tanks you are guaranteed to face at some point and it is critical that you learn enemy weak points. The Crusader is most capable when played like a jackal, assisting other tanks in dealing with distracted enemies. 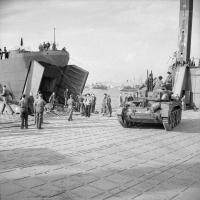 The Bofors which served previous British tanks well is not available for the Crusader and this creates a reduction in firepower, despite the Crusader's high overall DPM. This can come as quite the shock to players who enjoyed machine-gunning enemies in the lower tiers. The Crusader is meant for combat and is less geared towards scouting. However, if played carefully, it can be a capable mobile spotter in the early stages of the game. In the late game it can be useful for finding and destroying enemy artilley. At no point should you try to cross wide open spaces - you lack the speed and you have virtually no armour, although with correct angling it is sometimes possible to make miraculous bounces. 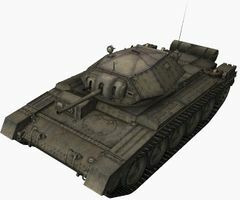 In many respects the Crusader is comparable to the Pz. 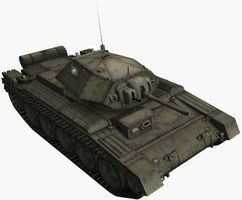 T 25 or German Panzer 3/4, although it is generally regarded as inferior to other tier 5 mediums, lacking any distinctive strengths. The high DPM is fantastic if you have a comprehensive knowledge of enemy weak spots, but newer players or those who are still learning the higher tiers are likely to struggle. The Crusader's top gun is its only saving grace. It is weak, but its ROF makes up for the lack of damage provided you are able to penetrate. The Crusader is somewhat awkward during tight maneuvers such as circle-strafing due to unimpressive traverse speed, but if you can pull it off, you can tear enemy heavies to pieces - just beware that the slightest stumble on your part will result in your death. You should avoid cresting hills frontally, as you sport mediocre gun depression of only 7 degrees frontally. The frontal viewport blocks it from going down to the maximum of 12 degrees. 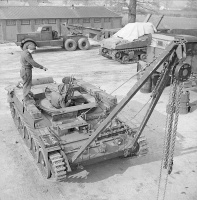 Instead, to shoot safely over a hill you have to try a tricky maneuver of angling your tank like a jackknife with the turret perpendicular to the hull (or forming a V-shape to the hull) to get any shots off. However, your side armour is thin and your ammo rack extremely brittle, so unless you particularly enjoy reduced DPM or exploding, protect your sides at all costs. Now you are starting to see why this tank requires skill to use effectively. It is your choice whether to bother with Safe Stowage or a Wet Ammo Rack, although if you are playing the Crusader like you should (as a sneaky damage thief with occasional spotting duties) then these won't be required. The 6-pounder gun does not carry a lot of shells, only 65 rounds, and with the gun's high fire rate and low alpha you can run low on ammo. Run with as little HE as possible. The howitzer is basically worthless and should not be fitted; only choose the howitzer if you enjoy playing Dark Souls games as a low level character using his fists. 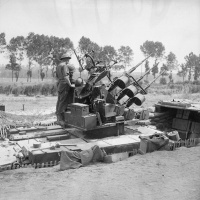 Note all the radios and the 3-inch Howitzer carry over from the Covenanter. Equip the radio immediately. Likewise, equip the howitzer if you wish to demoralise your team with an open declaration of failure. 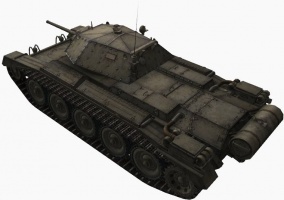 The 6-pdr guns will be available if you played the Valentine or the Churchill. You will not be able to mount the decent 6-pounder gun on the Crusader without the upgraded turret, and the turret itself you will not be able to mount without upgrading the suspension. As the engine upgrade only provides a marginal speed boost, the track > turret > gun route is your priority. After you have acquired the 6-pounder Mk. 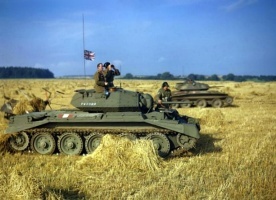 V, you should proceed with upgrading your radios, and finally continue on to the Cromwell. 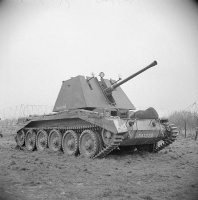 The Matilda Black Prince is not a suitable trainer for this tank's crew because of their vastly differing playstyles; the Cromwell B would be a better trainer, since the Cromwell B is a much better tank than the poor Crusader. 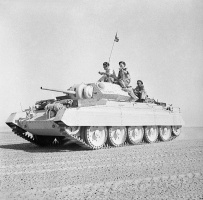 Cruiser Mk VI or A15 Crusader was one of the primary British cruiser tanks of the early part Second World War and perhaps the most important British tank of the North African Campaign. 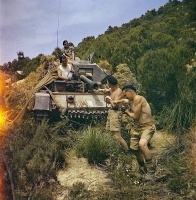 The Crusader's mobility made it a favourite of British tank crews and its Ordnance QF 6 pounder main gun made it more than a match for the early Panzer III and Panzer IV tanks it faced in combat. 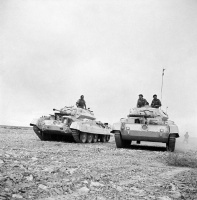 Retained in service because of delays with its replacement, by late 1942 the lack of armament upgrade combined with the presence of Tiger I Tanks among the Afrika Korps and overheating problems caused by the high temperatures of the desert, led to the design being phased out in favour of the new US-supplied Sherman medium tank. The next British cruiser in combat would be the Cromwell heavy cruiser. This page was last modified on 10 October 2018, at 08:49. This page has been accessed 304,733 times.